In large bowl, toss chicken and seasoning mix to coat evenly. 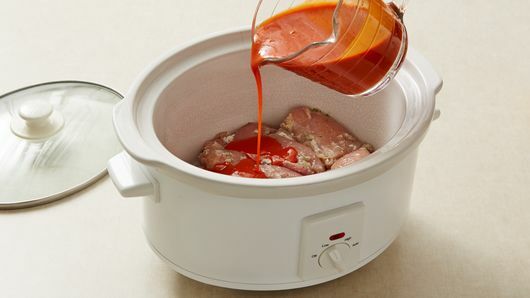 Place in 4- to 5-quart slow cooker; top with Buffalo sauce. Cover; cook on Low heat setting 4 to 5 hours or until chicken is tender. Remove chicken from slow cooker to bowl. 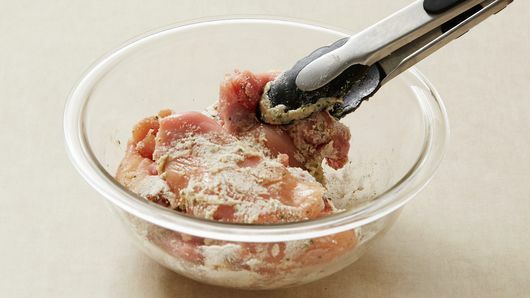 Shred chicken with 2 forks. 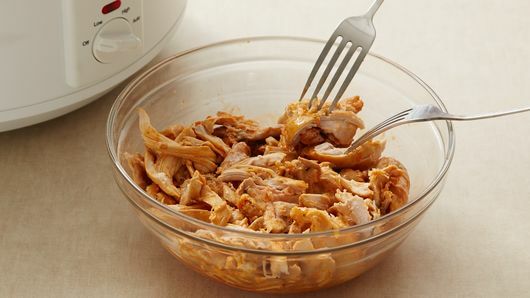 Return shredded chicken to slow cooker; stir to evenly coat with sauce. Serve warm. 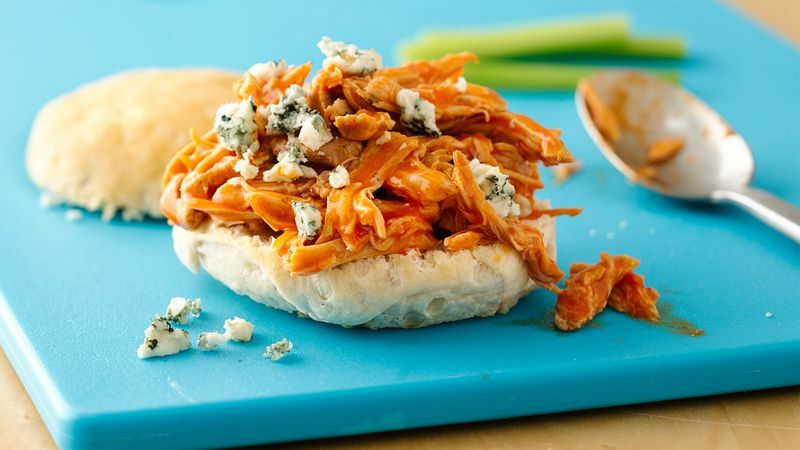 This shredded chicken makes a great sandwich filling for game day! Top your sandwiches with crumbled blue cheese, and serve with celery.